If you are looking for information on the Kitchen Tune Up franchise business opportunity, Kitchen Tune Up remodeling franchises or Kitchen Tune Up franchising, then you have come to the right place. Kitchen Tune-Up® is looking for owners that want to manage a growing #1 business. You will manage salespeople, technicians and sub-contractors. 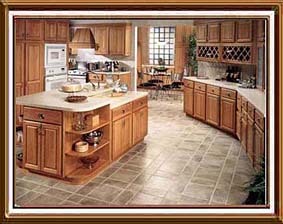 As part of America's #1 Remodeling Franchise (as rated by Entrepreneur magazine), you will offer a wide variety of products and services including: Wood Restoration, Cabinet Restoration, Cabinet Refacing, New Custom Cabinetry, No-Sand Wood Floor Restoration, BTU Tub & Shower Lining Systems, and Cabinet Accessories. From wood maintenance and repair to complete cabinet replacement you'll be able to offer it all! We truly offer "Solutions for Any Budget". Every home has a kitchen, plus, there is wood everywhere: apartments, restaurants, hotels, office buildings, churches, colleges and universities ... the potential is really unlimited! Today's consumers are service-oriented. Dual income families just don't have the time for most maintenance and remodeling projects. Add this to the fact that demographic studies are showing families spending more and more time at home, and the tremendous need for our services becomes obvious. Kitchen Tune-Up® has developed an exciting and unique business to help consumers, both residential and commercial, find affordable solutions to their remodeling projects. Your clients will love the products and services you offer because they will receive incredible results at great prices. If you are looking for an affordably priced franchise that starts quickly, has low operating expenses, has incredible growth potential and is limited only by your personal goals and commitment, KTU is for you! Review all the information on our website. When you are ready for an exciting, new opportunity, contact us. Together we can explore the exciting and rewarding path that KTU can offer you.